Next post: Mysterious New Signals from Bank of Amercia: Is it About to Bust? I’ve been saying for months now that foreclosure filings here in Florida are experiencing just a temporary lull, and that the dam was going to break sooner or later. Now, it the wake of recent high-profile settlements between regulators and banks, anecdotal evidence suggests that’s true. 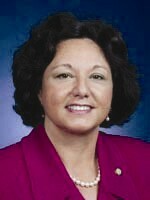 Even state Rep. Kathleen Passidomo, who has inside information on the matter if anyone does, says this is true. 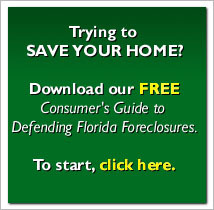 She recently told the Florida Bar News that she’s been warned a “surge” is coming in new foreclosure filings.